Day 2 in pictures. 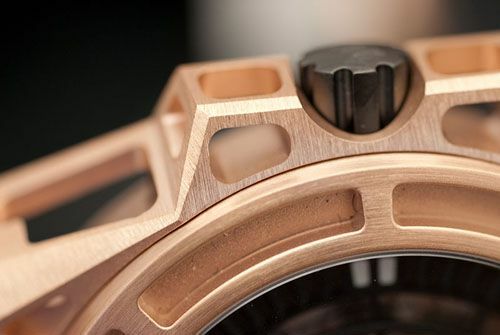 I was able to see some novelties over at Bremont, Linde Werdelin, Ikepod (Yes! Alive and Kicking! ), Ateliers DeMonaco and lots of others. The day ended with a very nice introduction / cocktail of the new Maurice Lacroix watches. This event was held in Bar Rouge of the Ramada hotel in Basel, on the 31st floor. Together with Ben of Hodinkee, Beth Doerr and Louis Nardin of WorldTempus, Bernard of Watching Magazine, Frank of Monochrome and Ernie and his wife of Watch-U-Seek, we enjoyed the new watches, drinks and the amazing view. I have made a few photos for the ‘FratelloWatches says..’ forum over at Watch-U-Seek, make sure to check them out! Below are some sneak previews 🙂 The Ikepod chronograph was simply amazing, the design has been done by (like all other Ikepods) Marc Newson, who is still behind this company. Prices of these models start at approximately 12.000 Euro and they feature ETA/Valjoux movements. However, these watches are not focussing on movements of course. 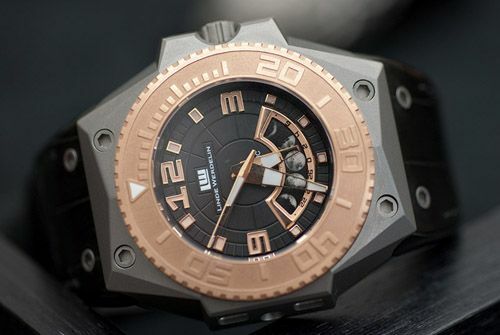 Next up are a two pictures that I took of the new Linde Werdelin models. 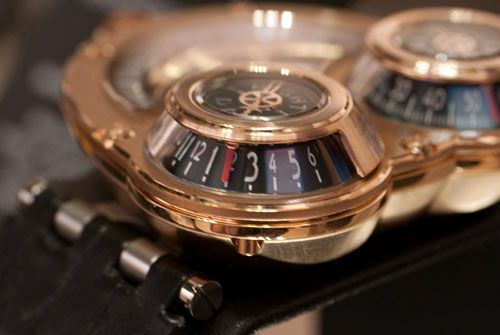 The Oktopus with Moon disc (based on a F.Piguet movement) and a close-up of the gold SpidoLite SA timepiece. Look at the brushed finish and the razor sharp edges, truely stunning! And last but not least, the MB&F Horological Machine No.3. I will try to make some shots of the ‘Engine’ for the upcoming Thunderbolt time piece. My appointment with Bremont yesterday was also very interesting. The new U2 will become a modern classic in my opinion,. 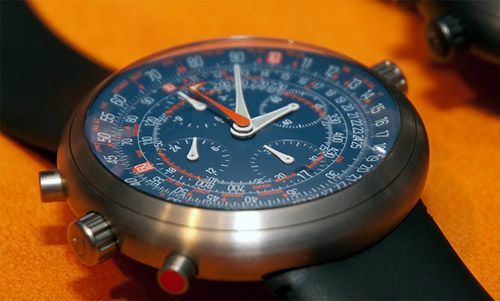 This new timepiece is currently still in development, but Bremont had the prototype up for display. Pictures will follow soon.